It’s time for another Tony Coatney Grand Lake fishing report. Another good week – the fishing is getting ready to get really good! With these cold fronts it is really tough on the fishing – they don’t know if it is still summer or fall. But we all know football has started and the cool weather should be here, plus all the championship fishing tournaments are here so get ready for a busy fall of fishing on Grand – until November there will be fisherman everywhere. But that’s a good thing for all the business around the lake – doesn’t get any better. Large Mouth are starting their fall bite where they go shallow. Try the rock piles, top water bite should be there also, but the deep bite will probably win over the shallow bite. White Bass as of now they are still deep on spoons but with cooler weather they should be moving to the banks soon. 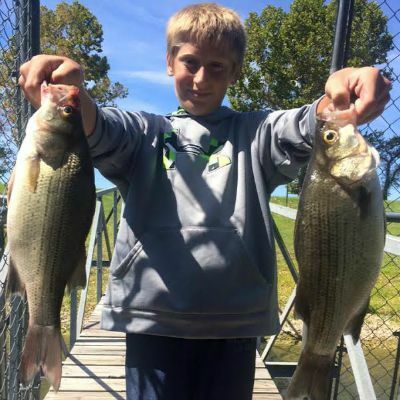 Crappie – been catching while white bass fishing on spoons with spoons. Catfish – jugs working best. And my winter fishing trips to Falcon Lake are starting to fill up. Until next time, Good Luck fishing from Tony Coatney.